With only 4 Ingredients, these are my FAVORITE low carb cookie! Make Sweetened Condensed Milk and allow to cool completely. 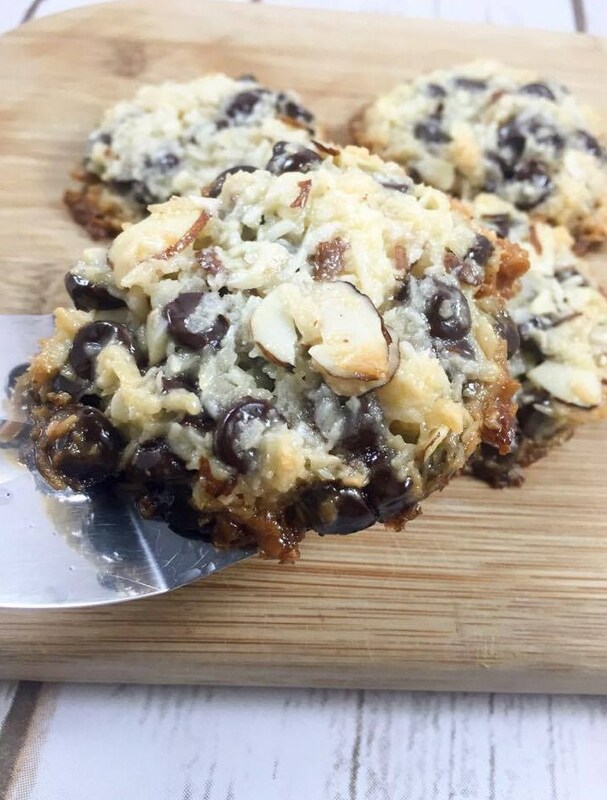 Mix unsweetened coconut, almonds, and chocolate chips. Add Sweetened Condensed Milk to coconut mixture and stir until combined. Using a small cookie scoop, place "dough" in the cavities of a greased muffin tin. With your fingers, press cookies down slightly. Bake for 15 minutes, or until edges are turning golden brown.